Urgently seeking Indigenous Apprentice Plumber. Email josie.shaw@rby.net.au if interested. Thank you. 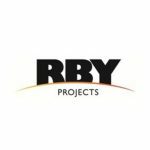 Clicking submit will submit your full profile to RBY Projects.